Three possible scenarios where US-China trade talks could end up, and US Senator Kamala Harris initiates her presidential campaign. 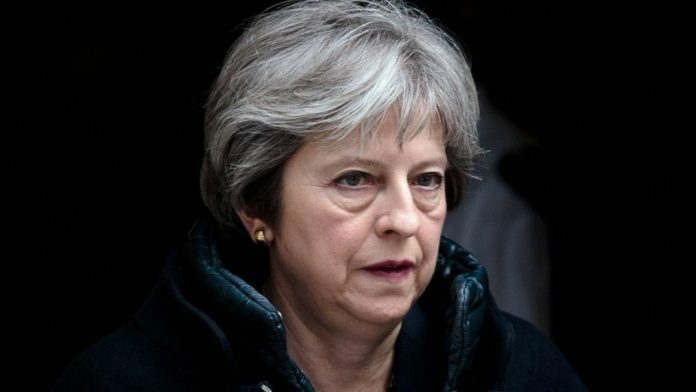 The month of January has not been easy by any measure for British Prime Minister Theresa May, who is trying to secure parliamentary consensus on a Brexit deal to prevent Britain crashing out of the European Union without a deal. The British Parliament’s rejection of May’s Brexit withdrawal agreement on 15 January put May in a political fix but the House of Commons session on 29 January will be another episode that will dictate where the control of power over Brexit proceedings shifts. Tuesday’s Parliament session is crucial as May will put forward a government motion outlining a ‘Plan B’ for Brexit, while MPs table motions to alter the course of how Britain will eventually leave the EU, currently scheduled for 29 March. Yvette Cooper of Labour Party and Conservative Nick Boles want May to postpone the Brexit date from 29 March to avoid leaving the EU without any deal. They seek to table a motion that will extend Article 50 (which gives EU members the right to leave the union, with a two-year deadline to negotiate an exit deal) by nine months if the Brexit deal is not approved by Parliament by 26 February, thus preventing a no-deal Brexit scenario. According to former Tory attorney general Grieve’s motion, Parliament would be given six working days to negotiate alternative options, apart from May’s Brexit deal, before Britain’s scheduled departure in late March. These dates would be 5 and 12 February, and 5, 12 19 and 26 March. His amendment suggests that at the end of the debates, MPs could table amendments on alternative Brexit options, including a second referendum altogether, soft Brexit or no-deal, etc. The Conservative chairman of the Northern Ireland Affairs select committee wants a time limit on the backstop — an “insurance policy” clause in the Brexit deal that seeks to avoid a hard border between Northern Ireland (in UK) and the Republic of Ireland in the EU — thus making approval of the agreement conditional on this suggestion. If approved by Parliament, reports say it would give May leverage for a re-negotiation with the EU on the backstop issue even though the Brussels-based body has consistently refused to do so. Yet another cross-party motion, moved by former Conservative minister Caroline Spelman and Labour Party’s Jack Dromey to avoid a no-deal Brexit. This, they seek to achieve by adding the following words to May’s agreement: “Rejects the United Kingdom leaving the European Union without a Withdrawal Agreement and a Framework for the Future Relationship”. The US and China are set to hold another round of crucial talks this week in an effort to end their months-long trade war, reported Bloomberg. China’s Vice-Premier Liu He will meet US Trade Representative Robert Lighthizer in Washington as part of a two-day dialogue schedule that starts Wednesday. US President Donald Trump and Chinese President Xi Jinping have given their officials time till 1 March to work out a deal for incorporating “structural changes” in China’s economic model, failing which Trump will impose a 25 per cent tariff rate on $200 billion worth of Chinese goods, up from 10 per cent. The trade war started last year in July, when the US introduced import tariffs on $34 billion worth of Chinese goods, a bid to punish the world’s second largest economy for its “unfair” trade practices. This week’s deliberations follow another round of talks earlier this month, when both countries arrived at an agreement to hold up on imposing tariffs for 90 days. The agenda for talks between Lie and Lighthizer will include what quantity of soybeans (one of the products on which China had imposed import tariffs in retaliation) China buys from the US, to the subsidies the Chinese government gives its state-owned companies. 1) The first, which it calls “base case”, is a situation where both Liu and Lighthizer might come to an agreement where “the Chinese will probably agree to buy more American goods, Beijing may promise to stop stealing intellectual property, and the two sides could develop a workable enforcement system to give the deal teeth”. This scenario could also see both the leaders suggesting another round of talks, the report added. 2) In the second scenario, which the report terms a “breakthrough case” or the “best-case scenario”, China would offer economic reforms that are enough to convince “China hawk” Lighthizer that it is serious about opening up its state-driven model. This would also, the report says, give reason to Trump to hail such a deal. 3) The third case, which the Bloomberg report calls a “breakdown case”, would see the talks end without any sort of a statement being issued. In this case, a “fiery Trump tweet may not be far behind”, it adds. Kamala Harris, a US senator from California and daughter of Jamaican and Indian immigrants, initiated her presidential campaign for the 2020 election Sunday at a rally in Oakland, California. The rally of the senior Democrat leader, a vocal critic of US President Donald Trump, in her hometown drew a large crowd of 20,000 people, leading The Washington Post to report that it was “the highest-profile address yet by any presidential candidate”. Harris based her address on issues ranging from racism and police shootings to human rights concerns, and even took indirect shots at Trump. “When we have children in cages crying for their mothers and fathers, don’t you dare call that border security, that’s a human rights abuse!” she added, referring to the much-criticised government move that saw more than 2,000 children being separated from their parents at the Mexico border last year as part of Trump administration’s “zero-tolerance policy” on illegal immigrants. Harris is the second African-American woman and first South Asian-American to have become a member of the US Senate. She had announced on 21 January that she would be contesting the 2020 presidential election. The Senator’s Twitter account is being actively used to project the issues on which she is fighting the elections. Some of these include Medicare for All, student loans crisis, climate change, and pay increase for middle-class families. Other women in the running for 2020 include senators Elizabeth Warren and Kirsten Gillibrand, and House of Representatives member Tulsi Gabbard. Vanity Fair’s report: IS KAMALA HARRIS THE NEW 2020 FRONTRUNNER?